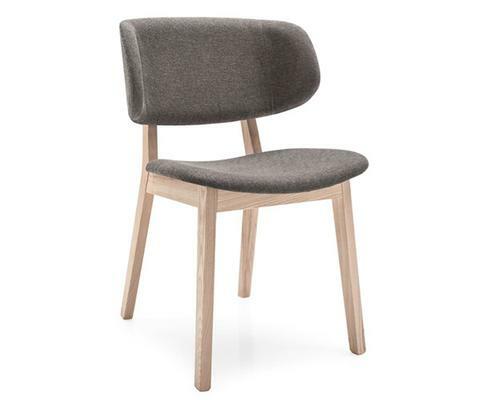 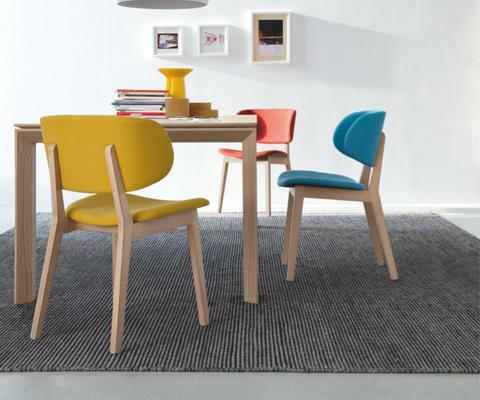 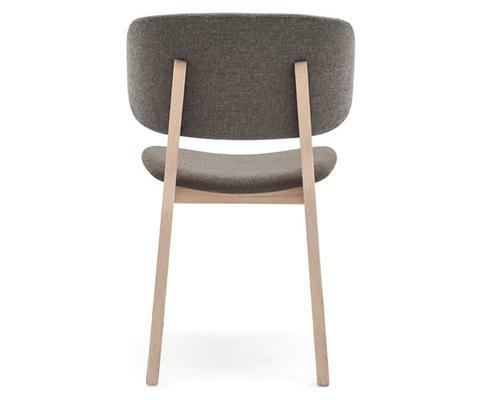 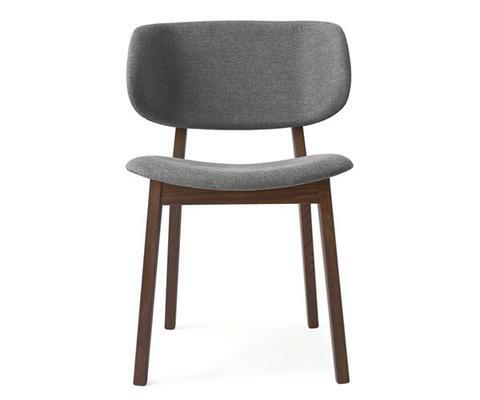 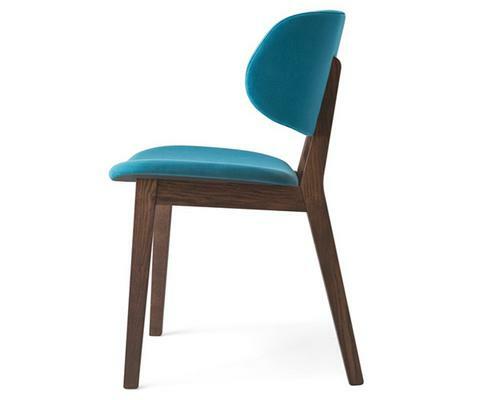 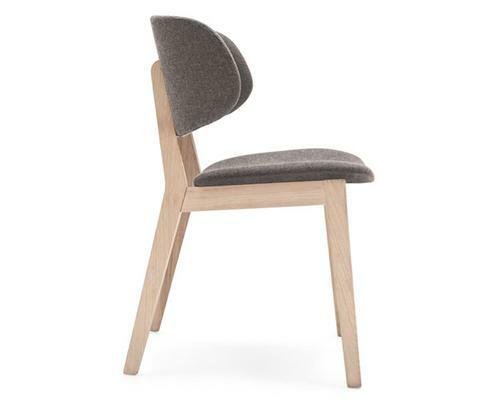 CLAIRE, with a solid wood frame, upholstered seat and a large backrest. 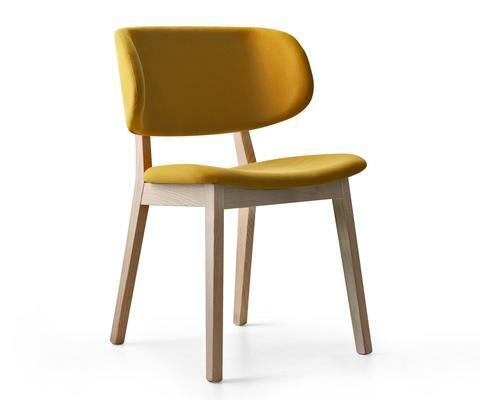 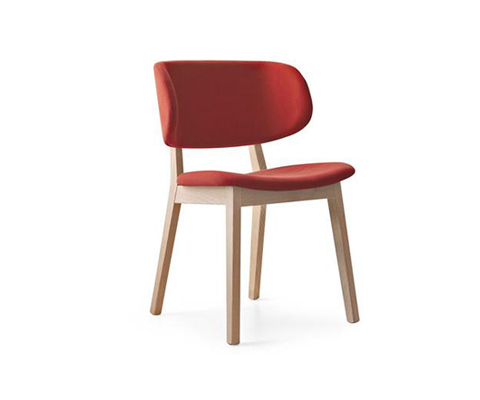 A design with lines that recall the Nordic tradition, for this chair with a wide curved and enveloping backrest. 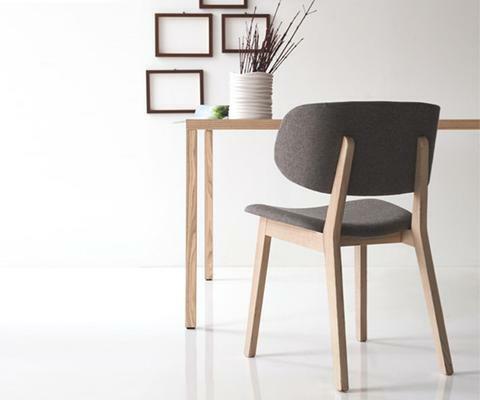 The frame and four sturdy legs are in solid ash wood while the contoured seat and the backrest are upholstered and available in 15 fabric and leather options.